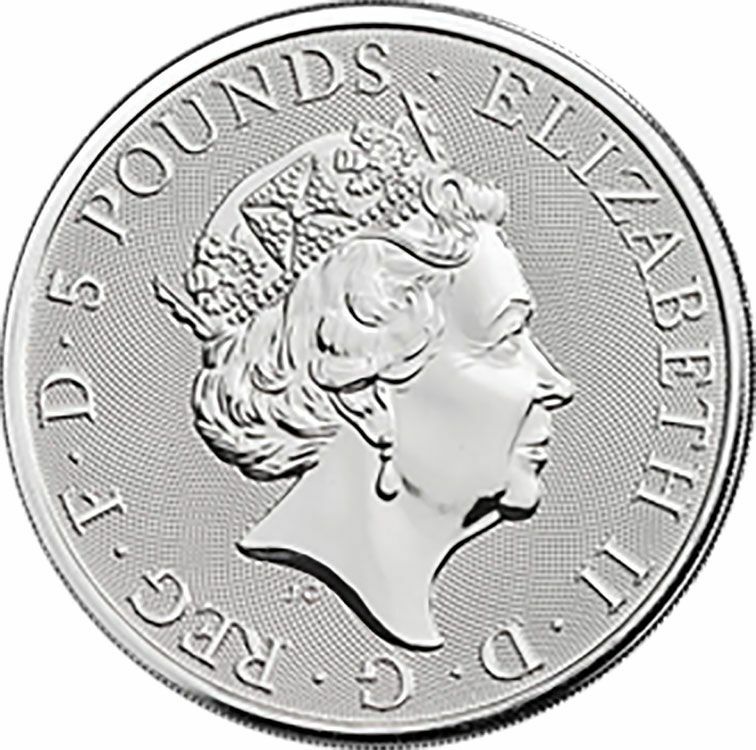 In 2016 the Royal Mint released a new series called the ‘Queen’s Beasts’. This set of ten coins celebrates the British Monarchy’s heraldry. The beasts were constructed in plaster and stood guard at Queen Elizabeth II’s coronation, symbolising various strands of royal ancestry. 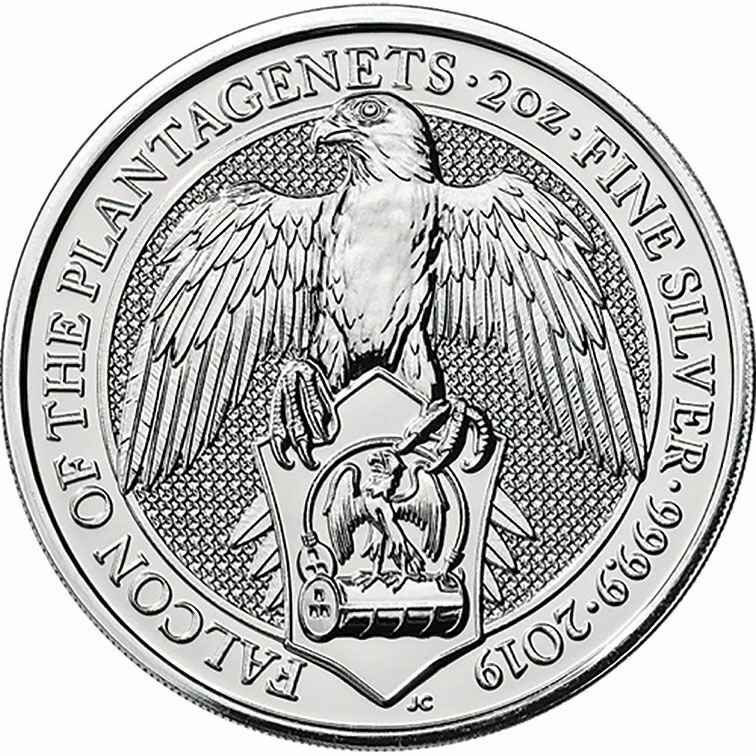 The Falcon of the Plantagenet's is the sixth design to be issued and we are offering it in the two ounce silver bullion coin measuring 38 mm and weighing 62.2 grams. Some previous issues still available, giving you the chance to start or catch up on your collection.